Acting as sole agent to a number of superb wineries around the world, Fuller’s helps you stock your cellar with exclusive wines you simply can’t get anywhere else in the UK. 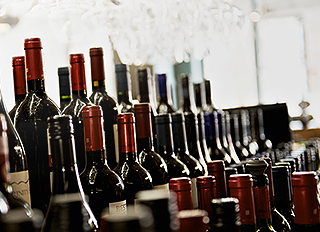 Our agency wines are available to free-trade pubs, restaurants, golf clubs, bars and on-trade wholesalers, but you’ll never see our wines sold in the supermarket – and that’s just one of the reasons your customers will keep coming back to you for more. Our wines aren’t just exclusive, they’re of stunning quality too. Every single wine in our range is estate-bottled – which means they’re bottled individually at the vineyard to capture the authentic taste of the region, rather than being shipped over in huge liquid volumes to be packaged at a later date. You don’t have to be a connoisseur to taste the difference - and you don’t even need to be a wine expert to set the perfect wine list for your pub or bar. When you trade with Fuller’s wine division, we’re here to help on that front too. We’ll meet with you face-to-face to help you choose the right wines for your market, and we’ll design professional, attractive wine lists that encourage your customers to be more adventurous with their wine selection. It’s all part of an unrivalled support service from an experienced, dedicated sales team committed to helping you build your business through the world of wine. Our portfolio of wines features bottles sourced from all over the globe – with vintages from the established regions of Chile, Australia, France, Spain and Italy, plus fantastic wines from South Africa, Lebanon and right here in England. In all, we’ve got more than 300 beautiful wines available for free-trade establishments, and with long-term contracts and great relationships in place with our vineyards, we’re refining and adding to that list all the time. To learn more about our fantastic agency wines, download our wine brochure or give the Fuller’s trade team a call.